Trained in the social sciences, Sarah Gensburger is a sociologist of memory and a historian of the Holocaust. She is currently a researcher at the French National Center for Scientific Research (CNRS-ISP) and the author of Witnessing the Robbing of the Jews (Indiana University Press, 2015), co-author of Nazi Labor Camps in Paris (Berghahn Books, 2011) and co-editor of Resisting Genocides: The Multiple Forms of Rescue (Columbia University Press, 2011). Katharine Throssell is an associate researcher in sociology at the French National Center for Scientific Research and a freelance translator. She obtained a PhD in political science from Sciences Po Paris and is the author of Child and Nation: A Study of Political Socialisation and Banal Nationalism in France and England (Peter Lang, 2015). Chapter 1. 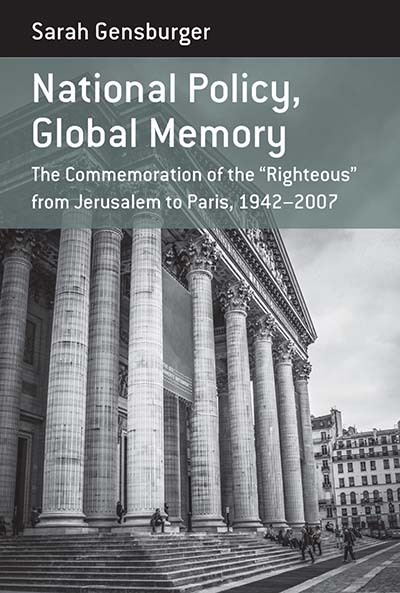 Memory as an Instrument of Foreign Policy?